My sister and brother-in-law have two amazing kids. Their three-year old boy is a future crime-fighting vigilante or possibly a lightsaber-wielding Jedi named Keller, and the girl is an adorable future princess just over one year old named Sylvie. They live about 11 hours away in Wisconsin so I don’t see them as often as I would like to. Thanks to social media though, my sister and brother in law provide much needed pictures, videos, and updates throughout the year. 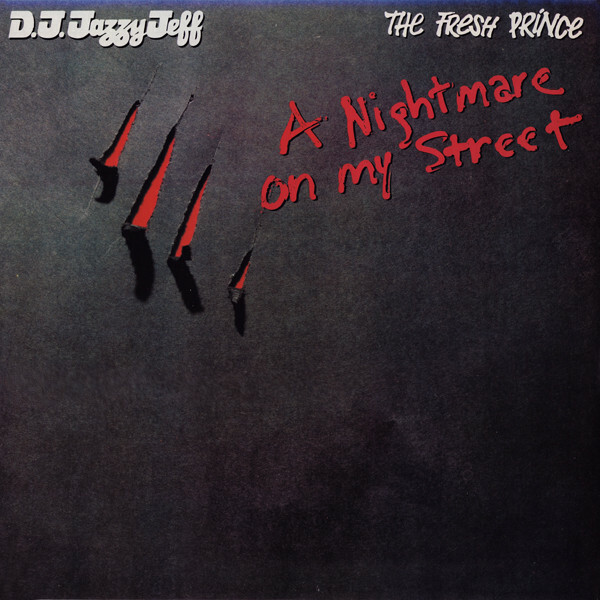 My sister messaged me the other day to tell me that Keller is a big fan of DJ Jazzy Jeff and the Fresh Prince’s “Nightmare on My Street.” The song is a rap ode to Freddy Krueger and the “Nightmare on Elm Street” horror movie series. It came out in 1988 just before the fourth (and most successful) installment: “Nightmare on Elm Street 4: The Dream Master.” There are a lot of people that didn’t like the song then, and don’t like the song now (my sister included I suppose), but I love it, and apparently so does my awesome nephew Keller. Unfortunately, because of a legal battle between New Line Studios and DJ Jazzy Jeff and The Fresh Prince, the video for the song was only played a handful of times on MTV before it was pulled from rotation. The video appears to have vanished forever though I still hold out hope that it may still be out there somewhere and maybe we’ll all get to enjoy it one day. 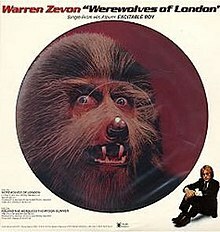 Shortly after that message about the “Nightmare on My Street” song came another one telling me that Keller was now howling to Warren Zevon’s classic “Werewolves of London.” I have to tell you this kid nailed a second one of my favorite Halloween songs. I was also already familiar with Keller’s affection for the 80’s Ray Parker Jr. classic “Ghostbusters,” but this particular song actually transcends more than just Halloween playlists. This is a classic no matter the date or season. I don’t know what Keller is going to grow up to be, but I know if he continues to single out songs like this, he will be awesome whatever it is. The song has some of the best lyrics ever and was apparently written in about 15 minutes in 1975. It wasn’t released until 1978 after friend Jackson Browne (a big proponent of the song through the years) had started performing it live at some of his concerts. So, if all you ever did on Halloween was to put these two songs in a playlist and put it on repeat (ok, mix in “Thriller” and “Ghostbusters” too), it would be a strange two-song playlist I grant you. But, it would be an awesome playlist, and I would hang with you, and so would my awesome nephew Keller. Thanks for reading, and happy Halloween! This entry was posted in Uncategorized and tagged Batman, DJ Jazzy Jeff and the Fresh Prince, Halloween, Keller, Nightmare on My Street, The Bat, Warren Zevon, Werewolves of London. Bookmark the permalink.